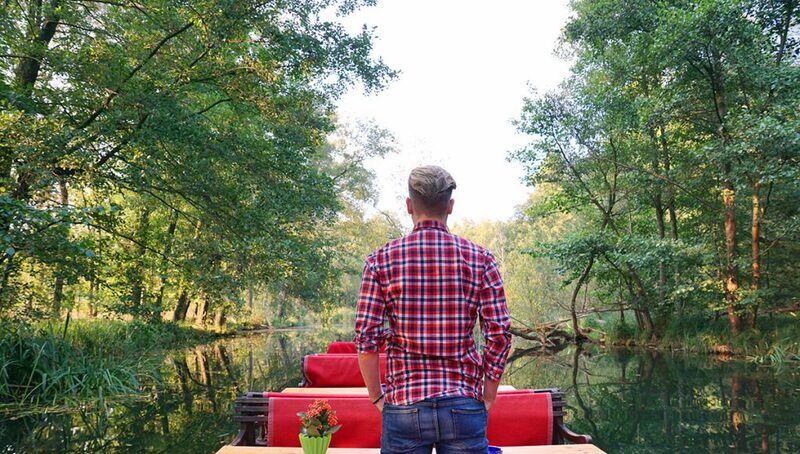 Spreewald forest is more than just gherkins and boat tours. The ancient nature reserve is also family friendly and home to ancient culture. Endless waterways, forests so green it will hurt your eyes, and pickled food you will never forget in your life. 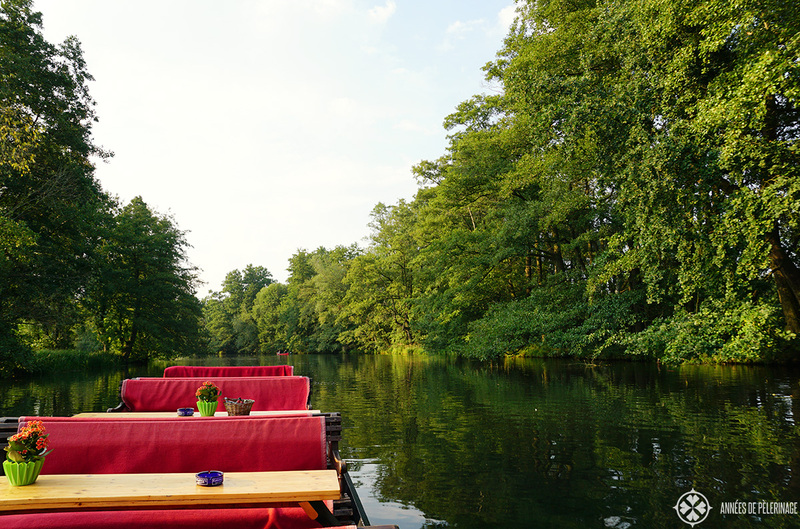 The Spree forest (Spreewald) follows an extended river system of the same name, roughly from Dresden (check out my guide) to Berlin. I have been to both cities numerous times, so I really can’t explain why it took me 34 years to finally stop by. Especially considering that the area is just so utterly beautiful. Ah well, this is no time for regrets but rather a good opportunity to list some reasons why you shouldn’t wait as long to visit. 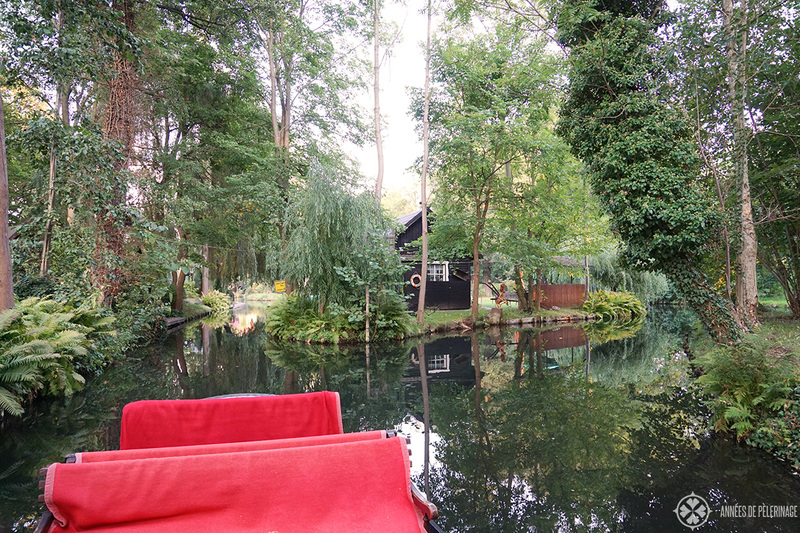 And believe me, there are just so many things to do in Spreewald, making it one of the best day trips from Berlin. The flat-bottomed river boats work on skill and sweat instead of a motor. A very long pole called ‘Rudel’, which double serves as a rudder, is used to navigate the unspoiled river system. The maybe most peculiar thing: They basically consist of nothing but benches and tables. Most boats serve alcoholic and (to a lesser degree :P) non-alcoholic drinks, sometimes even small snacks. You’ll find marinas in almost all towns and Lübben has even four of them. 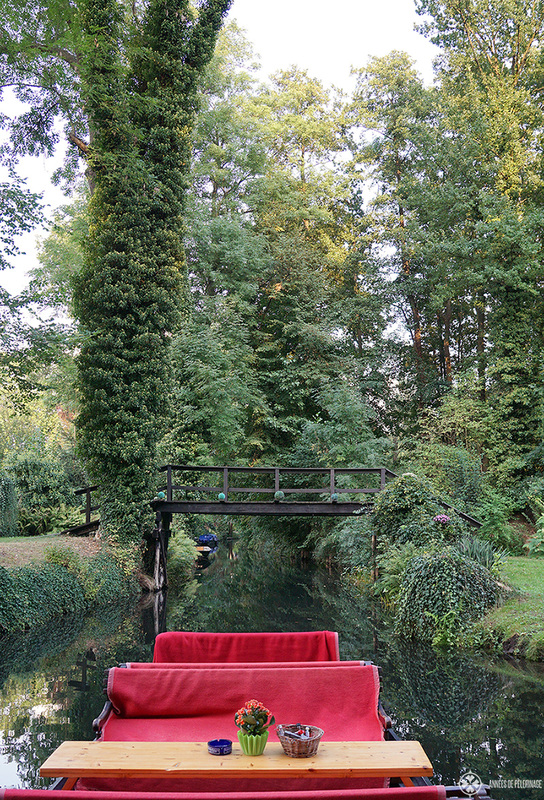 The smallest Spreewald boat tours will take one hour, but there are also tours taking as much as 6 or 8 hours. Longer tours will usually stop for lunch and at museums and the like (so you actually leave the boat). 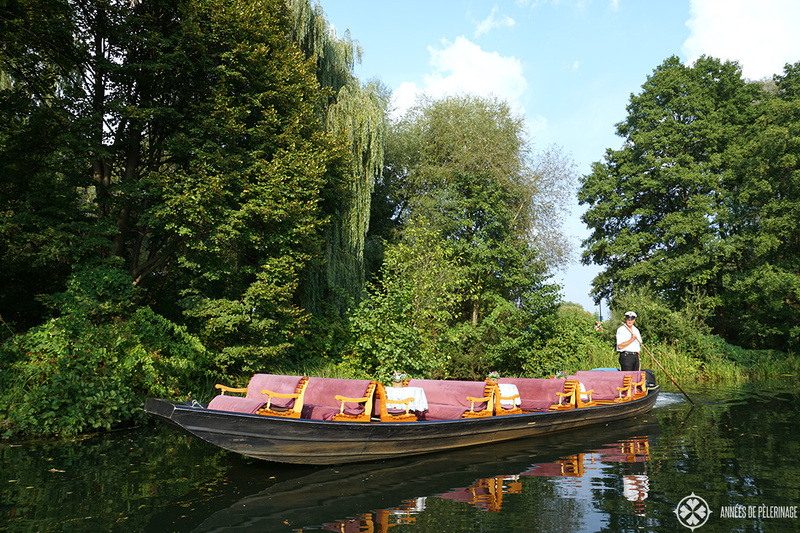 All boat tours will take you around the town, where some the most scenic spots can be found. Ancient, overgrown houses, lots of trees offering shade and cute little bridges spanning the channels ever so often. Add a cold beer and gherkins and you really feel like part of a fairytale. 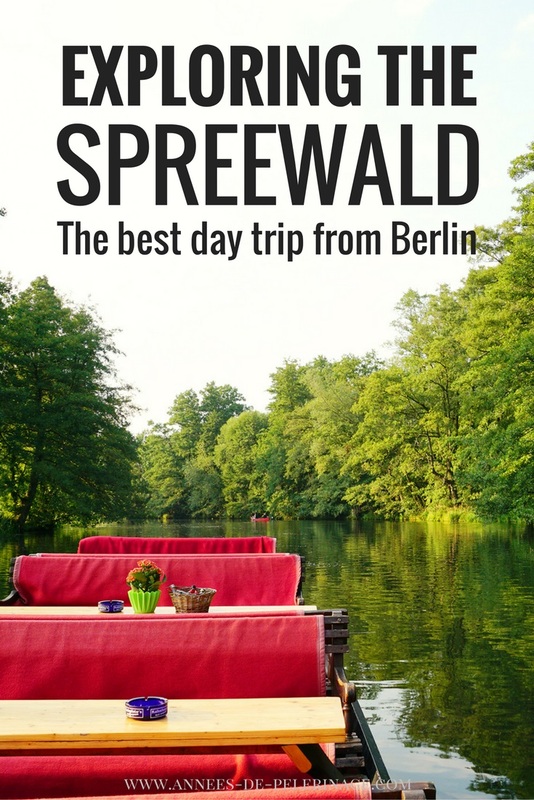 Planning to visit the Spreewald on a day trip from Berlin? Here’s an excellent 3-day guide to Germany’s capital. It is also possible to hire a private boat and this is what I decided for. 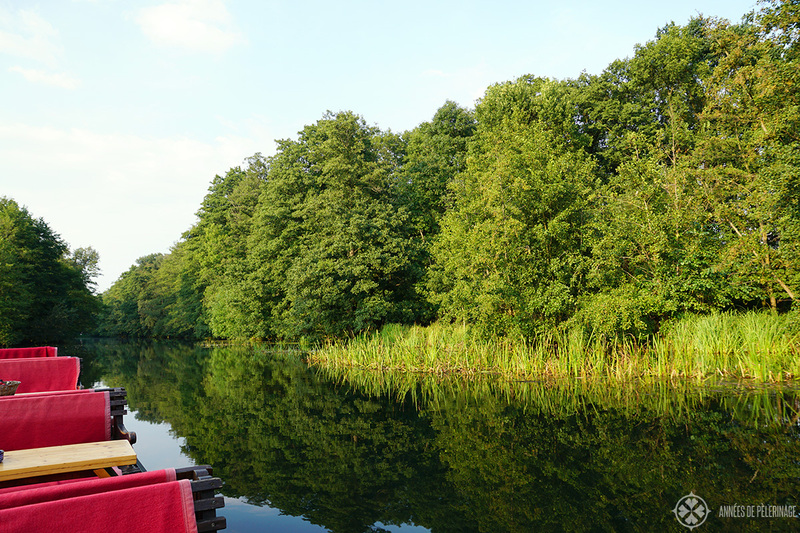 The unique advantage: Instead of driving along the standard tourist channels, I told my driver to explore the lesser known parts of the Spreewald. For me, it was all about backwaters and unspoiled nature. I cannot stress enough what a wonderful decision that was. First of all, we avoided all the crowded places (believe it or not, but in the high season there can be traffic jams along the smaller channels). Also, I am quite an introvert, which means I am having a hard time around crowded places. But more to the point, we saw things the other people really didn’t encounter on their trip. 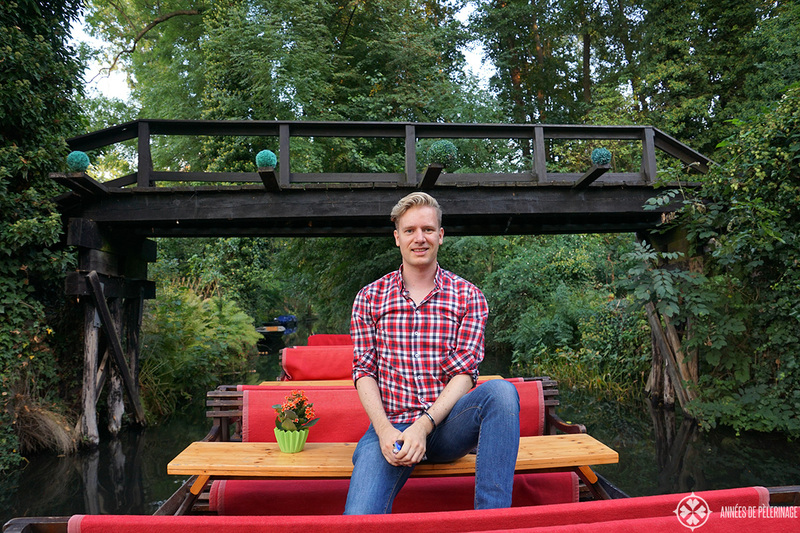 You see, the Spreewald is not just pretty water channels, pretty boats and pretty little houses (even though there is a lot of that!). Above all, it is a nature reserve. It was designated a biosphere reserve by the UNESCO in 1991 and it looks every bit of it. 18.000 different plants and animals find their home along the extended river system. It really felt wrong not exploring that part of the Spreewald as well. And when I say I saw things the other tourist boats didn’t see, I mean this quite literal. 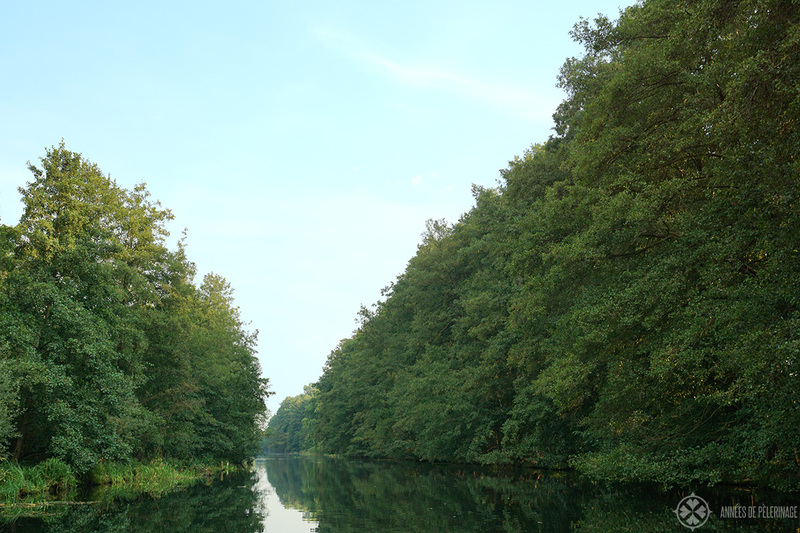 The backwaters of the Spree can be very narrow and shallow. 25 to 30 people fit into one boat, which obviously will have a huge impact on navigability and the draft. Our driver told us that he simply couldn’t and wouldn’t explore these small distributaries with a big group, as there would be a high risk to be stuck on a sandbank. It’s also hard to stop a boat loading 2 or 3 tons (depending on the size of the passengers). Insider tip: Consider doing two tours. A standard group tour to see the main highlights around the town and another private one see the rest of the nature reserve. But there were other reasons to choose Lübben as well. 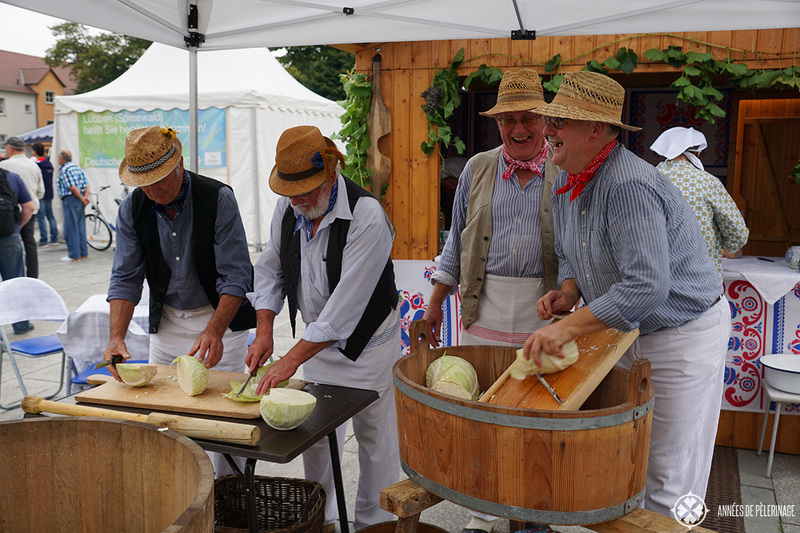 At the very end of the high seasons (usually in the 2nd or 3rd weekend of September), there is a big festival in Lübben. Apart from a lovely market and some cultural highlights (like a gherkins workshop! ), a grand boat parade is held on the channels of Lübben. That certainly was an event I didn’t want to miss, though I wasn’t able to see in the end. Only went to the fair, which was still nice. 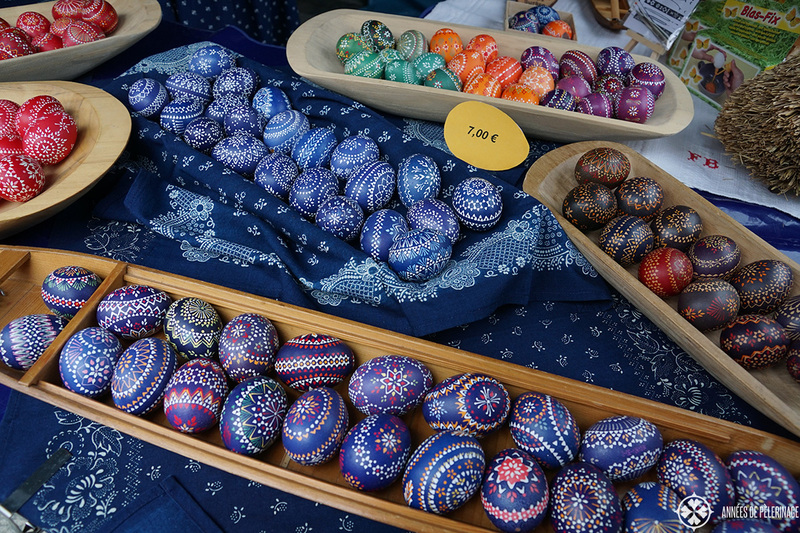 Bought some Sorbian Easter eggs! Lübben also has a wonderful little castle and, moms harken, about the best public paths I have ever seen. You know, when you look at the pictures you would never assume you were able to path in the Spree river. But believe it or not, the water quality is actually so high in and around Lübben that you can drink it. The channels of Lübben are home to a couple of excellent public baths and water playgrounds even some adults might enjoy more than they’d willingly admit! Insider tip: Early September is not as crowded while the weather will still be very favorable. Same applies for May and early June. 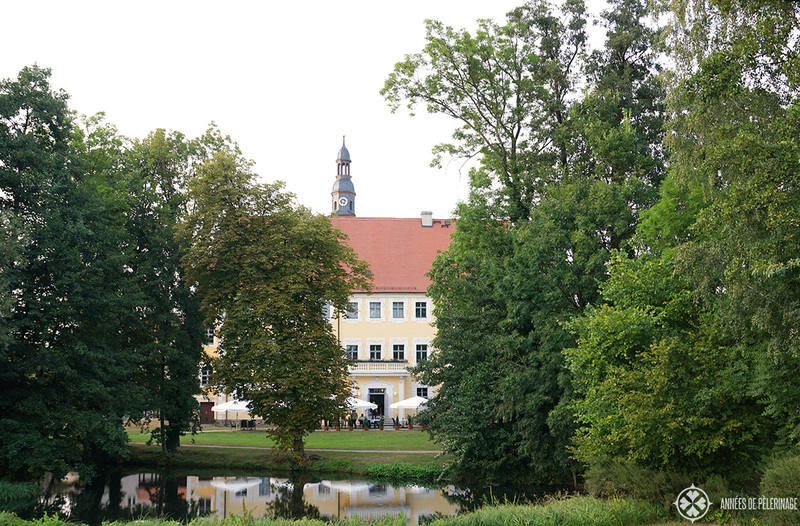 Despite staying in Lübben, I also had to see Lübbenau and its romantic little suburb Ledhe. 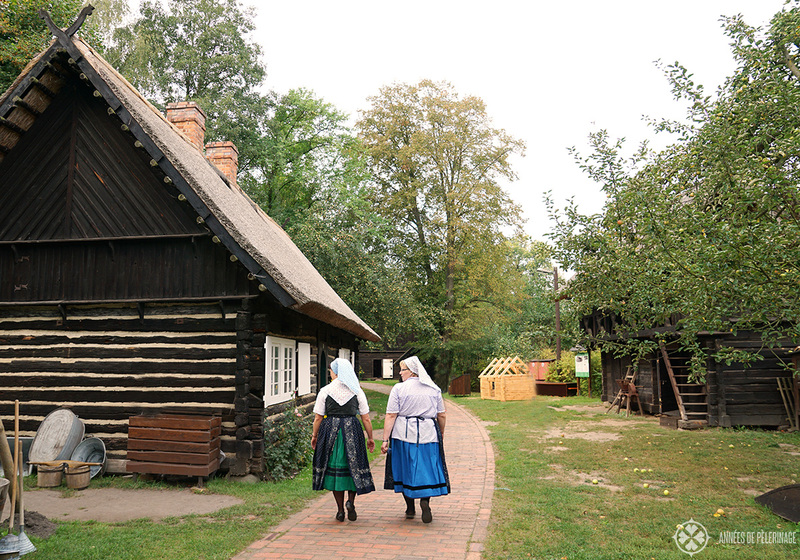 In Lehde it is still possible to experience the life of the Sorbian people the way it was hundreds of years ago. 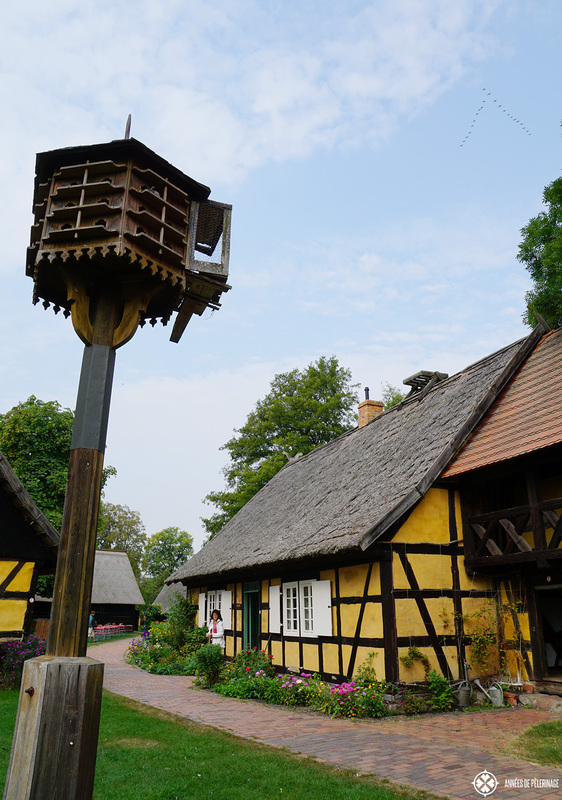 For those who didn’t know it: the people in the Spreewald don’t actually speak German (well most do now). Instead, they speak a Slavic language called Sorbian and the people are an acknowledged minority in Germany, with their own culture and traditions. Anyways, Ledhe is a museum village and beautiful beyond belief. Ancient half-timbered houses line the moss covered channels and if you are lucky you can spot a girl or two wearing the traditional dresses of the Sorbs. The museum is quite extensive. They even relocated a couple of ancient farmhouses to the place. Video installation, as well as locals, really help to produce a memorable experience, not in the last dusty or old fashioned. Definitely, consider stopping at one of the restaurants in town to sample the traditional food. Even if you are not hungry after a day on the boats & exploring the old town, ordering a serving of the famous Spreewald gherkins is a must! You might not believe me yet, but these fresh gherkins are seriously the best you can have in the world. 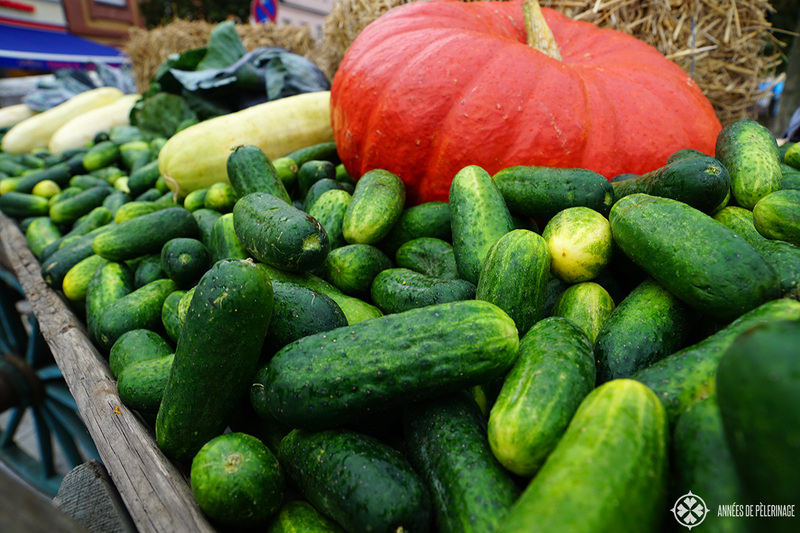 There is something about the soil and climate in the Spreewald that leads to ideal conditions for growing cucumbers. The Spreewald gherkins also make for a perfect souvenir, though you’d have to buy the pickled version in glasses. I certainly couldn’t resist! 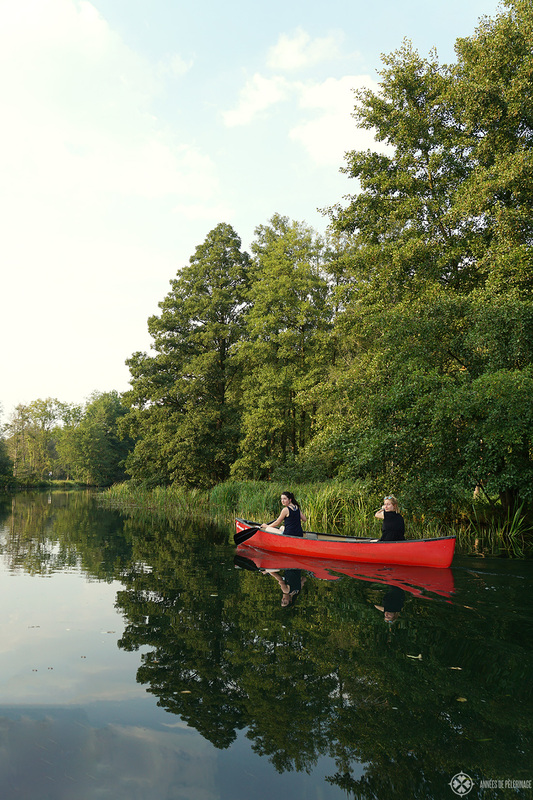 Probably the best way to explore the Spreewald is by canoe. You can rent them almost everywhere for a couple of euros. These will give you absolute freedom to explore the whole river system at your own pace. 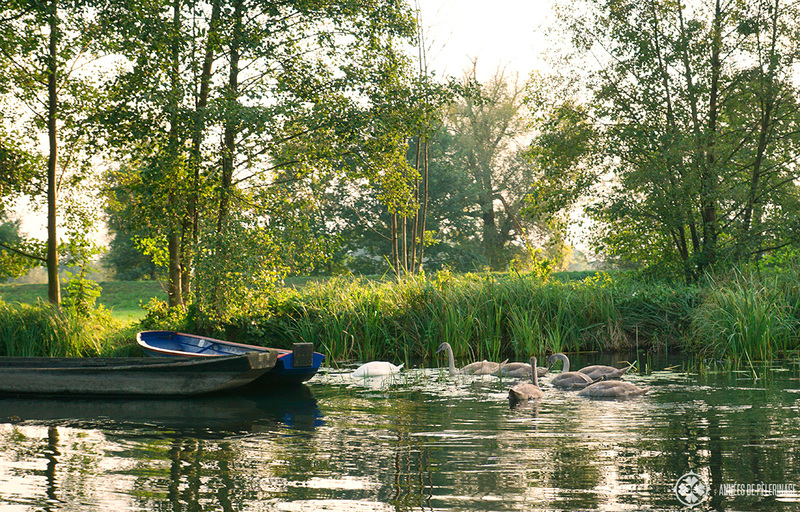 I am not sure if there are guided Spreewald canoe tours, but I’d recommend you to grab a map and go exploring on your own anyway. 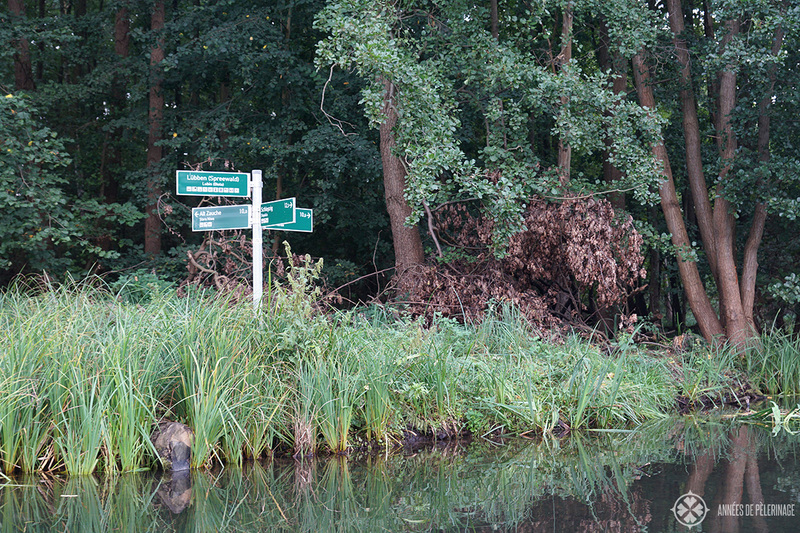 There are signs along the waterways (much like street signs), so getting lost would actually be quite hard. But do know, that few other tourists will come to the more secluded areas. 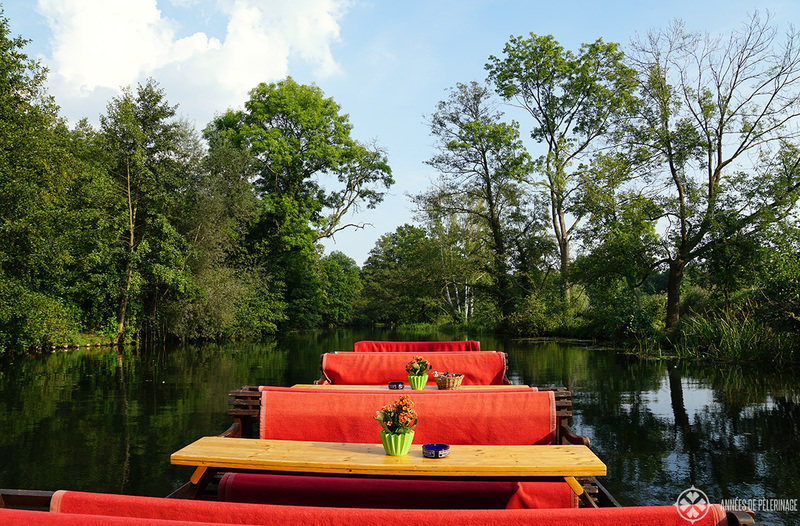 Now you won’t have pretty benches and sparkling wine on a canoe tour, but you will be able to enjoy the Spreewald in perfect solitude. You see, if you want to experience the wildlife, you do have to be quiet. As you can imagine that is usually a bit hard on a crowded group board with 25 people enjoying the cold beer. But that doesn’t mean you can’t bring your own picnic and drop out at one of the many moorings along the waterway. 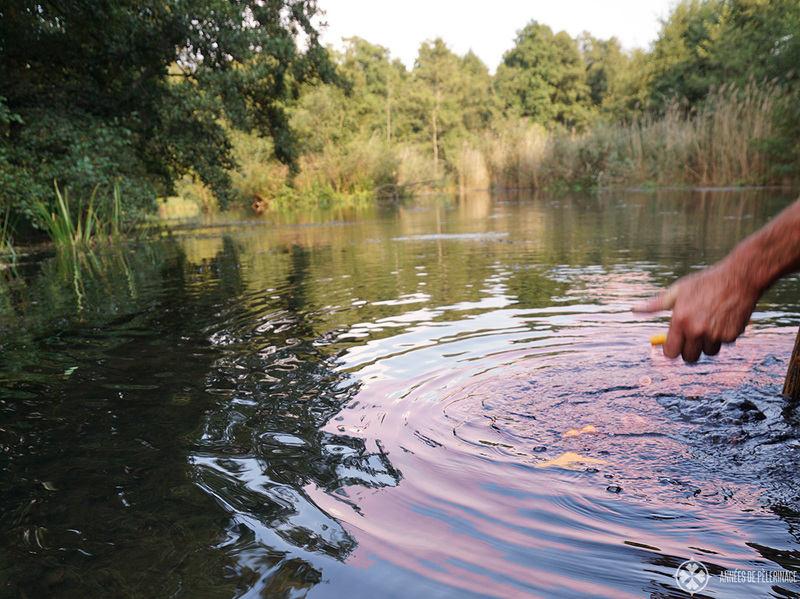 In summer you can even bring your bathing suit and jump in the river to cool off a bit (just remember to moor your canoe first!). Pro tip: Do go very early in the morning as birds are most active during this time. 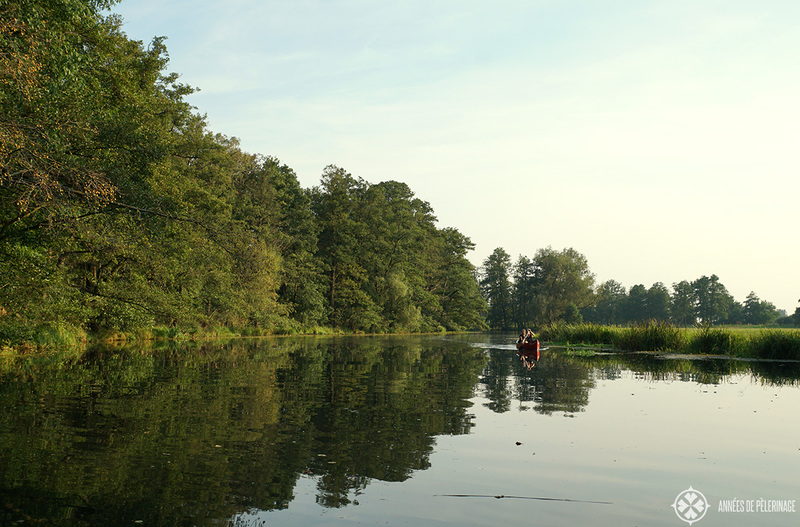 The late evening is also a magical time to explore the Spree river with a canoe. 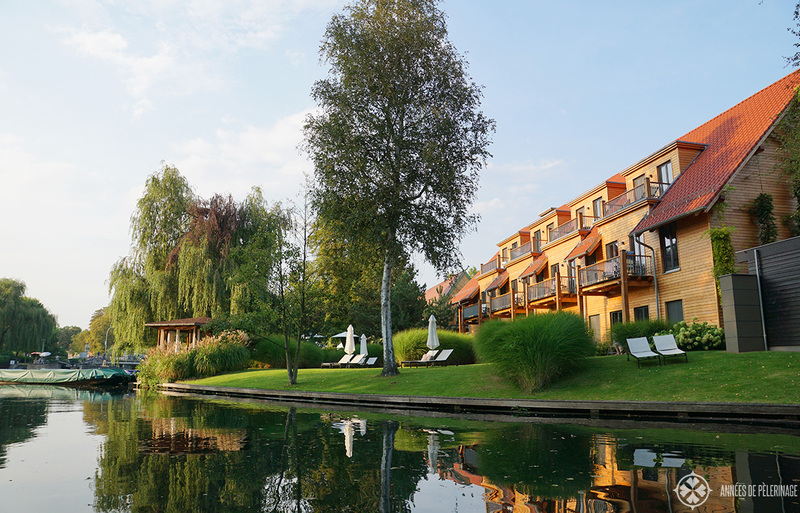 There are many little guest houses and hotels in the Spreewald. Most of them will be rather simple but will get you in direct contact with the locals. Burg, Lübbenau, and Lübben are the most popular towns. It really doesn’t matter a lot which one you pick. All three are pretty and not far away from each other anyway, so it’s really all down to your choice of hotels. Luxury hotels, on the other hand, are rather scarce. 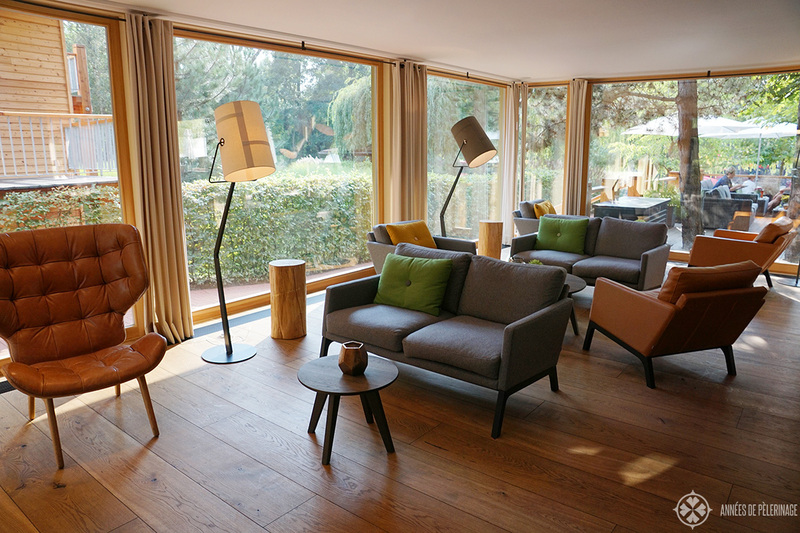 So if you are looking for a little bit of pampering, I’d really recommend you to stay at the Strandhotel in Lübben. 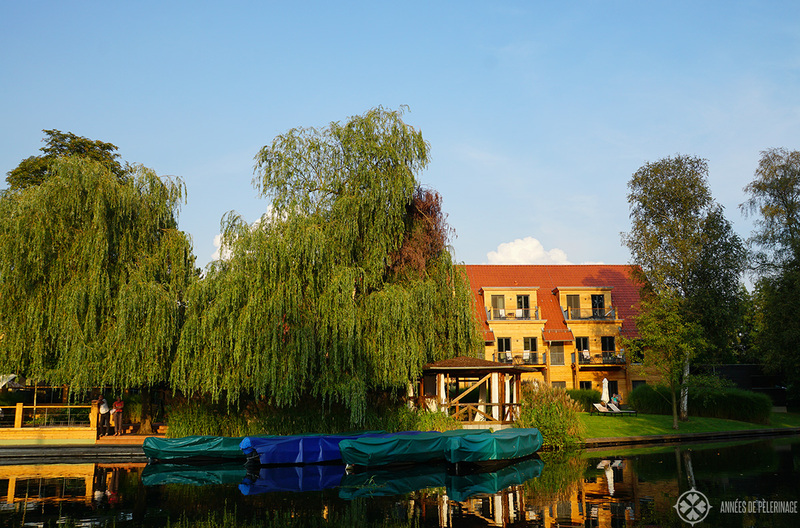 It is, in my opinion, the best hotel in the Spreewald, and not just because the hotel has its own marina. They also got a private beach and a very lovely little spa. If you pick the spa suite (like I did), you will even have your own private sauna in the room. So how cool is that? As the hotel is frequently booked out, you could also pick the Castle hotel Fürstlich Drehna. This ancient water castle certainly looks like the perfect hotel. I didn’t personally stay there because there were no vacancies during that time. As room rates are pretty fair, this almost looks like a no-brainer for anyone who wants to see the Spreewald AND stay at a German castle! You might also consider renting a car, as this will afford you with a little more flexibility. While you can, theoretically speaking, take a canoe or a boat to get from one town to the other, it’s a bit cumbersome and will obviously take longer. Germany might not be as famous for its frequent rains as England, but it’s not the Sahara either. So having your own car really pays off! Plus, you can explore the rest of Saxonia later on. Phew. This post got longer than intended. 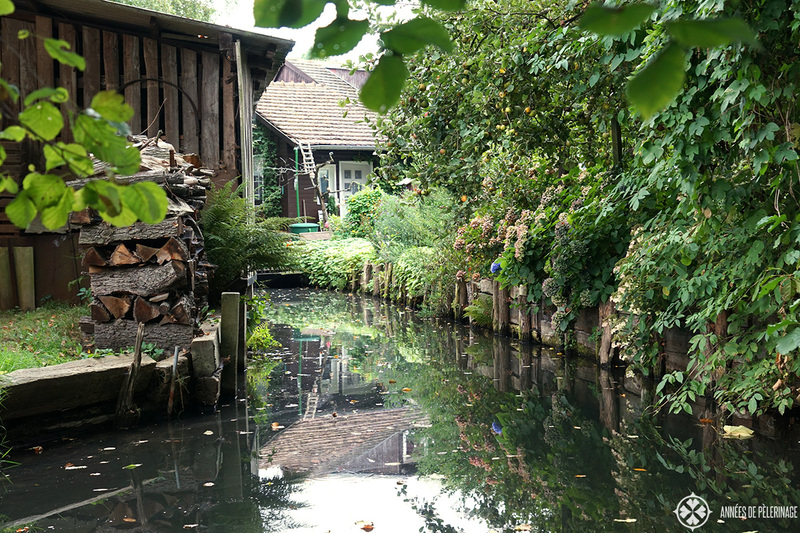 Ah well, the beauty of the Spreewald carried me away. So, how about you? Would you want to visit this unique part of Germany? Tell me in the comments below! And don’t forget to pin this for later! 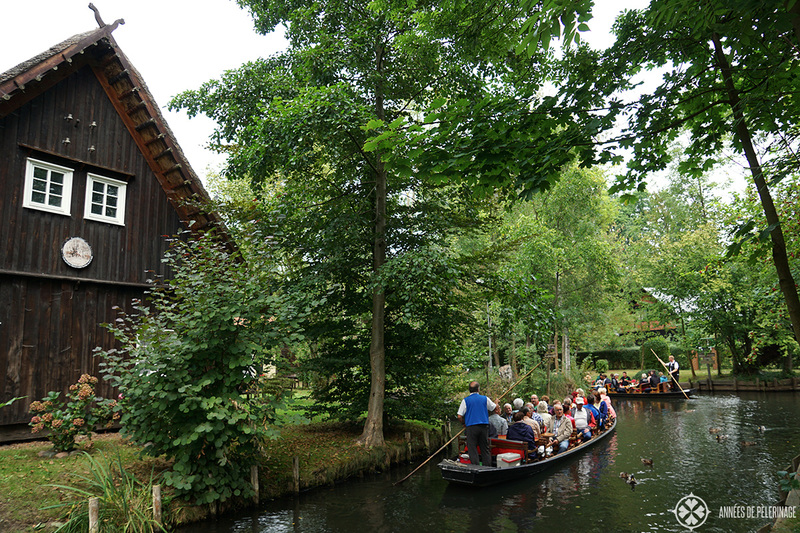 I have to say Spreewald looks absolutely lovely, especially the boat tour. I wish I had known of it when I lived in Germany. Whenever I visit Berlin again, I’ll have to schedule this as a day trip. Thanks for the idea! Hi there, do you know if you need to book the boat tours ahead of time or you can just show up and book? I can’t find much searching in English…Thanks!